Microsoft has done it again. It really never stops to amaze me how low quality software and insulting assumptions from the side of Microsoft quality assurance team result in crappy Microsoft products. A Microsoft engineer posted on his blog the results of internal experiments on how long it takes to upgrade Vista to Windows 7. The experiments involved 3 different hardware configurations and 4 different system condition as far as the data and the installed programs where concerned. One of the experiments took 1220 minutes, over 20 hours to complete the upgrade and that was not even on the worst case scenario. The worst case scenario was not even reported. It is stated that the transition from XP to Windows 7 is more complex and it will take significantly more time. How much more? Are they kidding us? Realistically speaking I would say that most users(at leats the ones I know) fall between the Heavy User to Super user. Even simple users have not formated their XP installation for years and have all sorts of crappy software installed on the machine(let alone the dll nightmare). How long will it take for them? Comparing this with the upgrade process of Mac OS X or certain Linux distros such as Ubuntu makes me lough out loud. System upgrade is something that should be painless and automated but I guess in Redmond they have diffferent ideas(they still live in mid 90s wearing funny shirts). if 3 hours for 125 GB of data sounds fine to you then the insulting assumption of Microsoft quality assurance team is right. You are obviously used to the low standards introduced by windows. Upgrading the same amount of data for Ubuntu or OSX is like a clean install(30 minutes) and i know cause i 've done it. And obviously you have not used Linux the last few years. From installing new software or upgrading Ubuntu is a breeze...try it! You have to start putting things into context. Updating Ubuntu from what to what? 1.01 to 1.13? 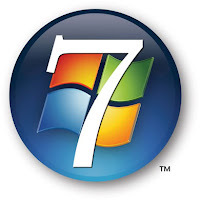 Upgrading from Vista to 7 should involve at least some restructuring of the OS and XP with 7 are not even comparable as the same operating system. I have no doubt that Linux may be faster at updating as it is inherently better structured, however I was simply saying that it doesn't come without it's headaches. Yes, even recent editions! Just bear in mind that not everybody has the exact same build as you, as you have likely adjusted the hardware that you buy to be compatible under Linux. But okay, I'm up for a challenge; you can bring over a clean hard disk and a copy of ubuntu, I'll set the stop watch at 30 minutes and you have to set it up under my build, with each component working perfectly. The prosecution rests. Denny Crane! And it is that simple because they are both quality pieces of software. I 've gone from ubuntu 7.04 to 8.10 (4 different updates) and form Mac OSX 10.3 to 10.5(3 different updates, soon to be 4) without formatting once and with countless applications installed.